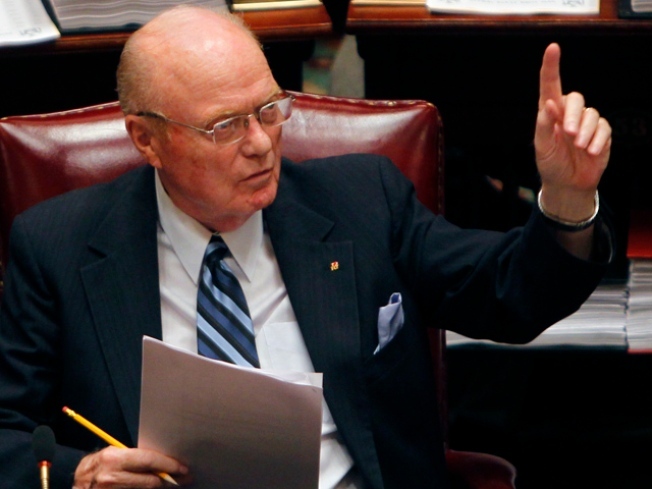 Some state workers may not get their paychecks Wednesday as lawmakers in Albany, who still have not passed a budget, continue lenghty debates on emergency spending bills and pending legislation. The long-winded debates in Albany will have to be cut short to meet a deadline for a bill that would authorize checks for thousands of workers, State Comptroller Thomas DiNapoli warned today. About 153,000 state workers are due their paychecks Wednesday. After lawmakers approve the bill, Gov. David Paterson would have to sign it into law, and the state Division of Budget has to certify it and file it with a central bank. DiNapoli said that if the process doesn’t go through by 6 p.m. at the latest, he’d be breaking the law if he authorized paychecks. Late checks, however, could come as soon as Thursday. Paterson gave legislators a June 28 deadline to pass emergency spending bills. The last two short-term spending bills resolved the Environmental Protection Fund, health care and social services budgets, but the next is set to cut about $100 million for public protection, economic development and transportation.